Hopefully he will have great season. Also about time players start to play to higher level even if they are out of comfort zone, we don't have right winger and should do everything to make that position his own. He has all the attributes to do that, should improve his work off the ball though. That's very important asset to have for a wide player. And that's the problem, you are talking about a player that wasn't a wide player until relatively recently, his tools at youth level weren't wide player's tools. People make comparison with Mbappé but Mbappé was a wide player until senior football where he played centrally because Monaco didn't had any other option, his success upfront were a surprise more than anything and he was still playing wide in Gambardella(U19 cup). People need to remember that Martial learned the winger role at United and only at United. Ha, always thought Martial started as wide player and Mbappe as striker as he was playing as striker for Monaco. Martial was very good as left winger and for me he was our best going by performance. So I'm assuming he should adapt to right wing position too as that's the position where we don't have any players and Martial has necessary attributes. It's even weirder to think that his favorite foot is his right foot. Naturally he could do more damage with his dribbling and whipped cross with his favorite foot, but that is not the case. I think it's a bizarre case, backroom staffs need to fix this issue. It's not that easy, I can't remember which player explained it, maybe it was Pires. Martial on the left come inside, he moves towards the weaker side of most defenders, they have to either defend with their weaker foot or make awkward movements in order to reach with their stronger foot. On the right it's the opposite, if he goes outside he is on the stronger foot and natural side of defenders, when he comes inside he is on his own weaker foot and goes toward his weaker side, it's not the same approach, not the same game. Ronaldo isn't as good on the right than he is on the left, same thing with Messi, they have to tweak their game significantly in order to make it work. You have players like Perisic, Reus, Coman or even Mbappé that manage to do it but they have good left feet and it comes naturally to them, the vast majority of players struggle a lot when you change their side. Sterling and Sane don't have stronger weak foot but they play the role very well. They don't have to hug the touchline, something like City wide players will do. But again it depends on how Jose sets up his team and what he wants from his wide players. I know, my point being is that he should cross more comfortably from the right flank as his favorite foot is his right. Take a look at Trippier for example, he can do it easily and Martial should be able to do it too. 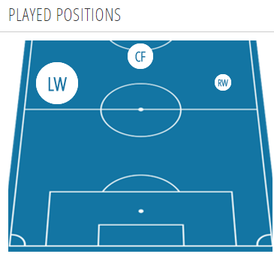 Considering he likes to whip the ball when crossing, he could easily whip it on the right flank. When he plays on the right, he shouldn't cut inside anymore, because that would deem useless for him. It's probably a mental thing, he loves to score, he wants to score and crossing is not just in his set of moves. Martial as a player is very limited I'd say, his only attacking movement is just to cut inside from the left and try to curl it to the outside post. As a player, he should learn more than just that. Sané is significantly inferior on the right and these are wide player since youth football, they have hundreds more games in these positions. I'm not saying that it's impossible, just that it's not as easy as people say and most importantly it takes time and actual practice. If Mourinho wants Martial on the right, he will have to play him there and understand that it's not necessarily going to click immediately. Sané is significantly inferior on the right and these are wide player since youth football, they have hundreds more games in these positions. I'm not saying that it's impossible, just that it's not as easy as people say and most importantly it takes time and actually practice. If Mourinho wants Martial on the right, he will have to play him there and understand that it's not necessarily going to click immediately. Yeah, not saying it's easy just that it's the only position where he can play regularly as we don't have RW and Jose won't drop Sanchez. Ideally it should be Sanchez as RW and Martial as LW. Those 2 are best mates. People getting the excuses in early for him i see. Such talent players should be able to perform to a decent level anywhere across the front line, they may excel in one more than others but you can't tell me Martial doesn't have the skillset. It was the same with Rooney, Kagawa, Mkhi. This place is obsessed with making excuses for players whilst other top clubs the players play where ever they're told. Delighted he's still with us, hope he get his chance at LW/RW. His smiles don't mean anything. Hope he and Mourinho have had a chat and he signs an extension. In my mind, I'm convinced he needs to leave. For some reason I can't see him fulfilling whatever potential he has here. Would like to be wrong and he improves his game. Hope Mckenna can help him. Been very quiet in terms of rumours with him. At the moment it's hard to see which other top club he could go to. Maybe Chelsea or Spurs if they sell Hazard/Alli. If there are no takers, then hopefully he can be persuaded to extend his contract. Still maintain he's as big a talent as Leroy Sané for instance. 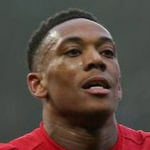 sorry but I think it's evident to see that Martial skillset is not entirely suited for the RW, his best move is to cut inside on his right foot and dribble past players, it's very hard to defend that, and he's not exactly explosive player to huge the touch line and make runs to put in a cross. The same reason why Alexis plays on the left, even though he spent years playing on the right when he was young - but he was way more explosive and pacy, he bulked up and likes to create, pick a pass these days and lost his top speed. Martial likes to leave his player behind him so he has time for a cross or a shot. His left foot is about good to put in an occasional cross in but hardly good enough to cut inside from the right. He lacks raw pace and workrate to be a proper RW and stay on the touchline. I'd still try him there over Mata or Lingard let's say but he's not suited to that side much and that's a fact. I really wish he would kick on and start working hard, then it wouldn't matter that much that he's underutilised there on the right, He'd play there too. Rashford for instance is better on the right too but has a better skillset or mentality to play on the right so he starts there. he's got raw pace and can put in a power cross, Martial seems to float in everything, he never goe through laces even when shooting. Rashford is willing to work hard and make the run there unlike Martial. Still we are losing a player who is able to cut in and take a shot in rasford's case too but he plays on the right more often than Martial becasue he's more suited there. He's way too good for Everton. I very much doubt he would want to spend a year there. He is more than good enough for us. Except for maybe Lukaku, no attacker showed more quality than Martial last season, and he's proven himself in the past as well, especially his debut season. Perhaps that's why our attacking play is painful to watch. Sure, and perhaps we should look at some of our other attackers before Martial. 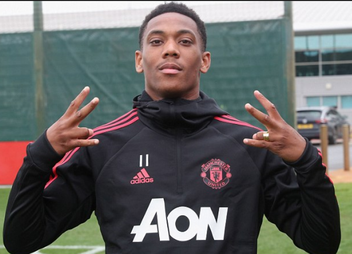 If we're not going to try to move Sanchez to the RW, I'd like to see Martial played there through pre-season to see if he can develop his game there. I wouldn't disagree. We have some very mediocre players who I'd be happy to see leave. True, but it doesn't change the fact he was comfortably our second best attacker last season. And until he was dropped, it was debatable who was better between he and Lukaku (Lukaku had started better, but Martial was better at the time of dropping). Neither is a loan in general (which shouldnt be on the table to begin with). Martial has one year left on his contract plus an option year. Should we loan him out and he would perform we will still not get nearly the same transfer amount next summer compared to now since he would enter the last year of his contract and essentially could leave for free by that christmas. Not happening. He will have his opportunity in the beginning of this season with a full preseason and Lukaku, Rashford returning late due to the WC. If he doesnt perform he is gone in the winter window IMO. I love the player and hope he grabs his chance. Maybe he really is planning to start but a PRE-season with Martial up front. On a serious note, it's interesting. 2 strikers system or Lukaku as a withdrawn striker on the right? Sure he won't. Hopefully Martial will be developed as a CF and be the backup to Lukaku. Mourinho just needs to learn to rotate a bit more to keep everyone happy. This likely rules out any move for Mandzukic or a similar profile. Both. Mourinho said he is hoping for a front three of Mata, Martial and Sanchez for first league game. He's talking about at least the first PL game, Rashford and Lukaku won't be ready to start by then. No it's a real possibility he starts as the CF because Lukaku is missing pre-season and will be returning from his holiday. He might end up on the bench after, really depends how he performs in his run of games. Make or break and it's in his own hands. artial, Lukaku and Rashford in a 2 strikers system. Also, Lingard/Mata could cover Alexis as No.10. Martial could become our own Mbappe in that position, if he fulfill his potential. This is the best news from today. Martial up front is much better than buying Arnautovic or Mandzukic as back ups. Martial fit and form is vital if we want to progress from last season. Fair point, somehow it escaped me. The question is what happens if Martial plays well. Can't imagine Lukaku being benched for good.